Informational task cards and printable + ELA test prep= excellent review of skills!!! Learn all about bees, fun and interesting facts that most people never knew! Did you know there are blue bees? Or that bees are the perfect geometry specialist? Find out this and more with 5 printables and 48 task cards covering standards in writing, language, and informational text. 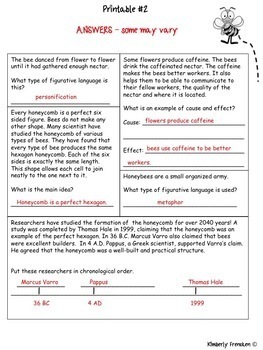 All answers are included, as well as, student answer sheets. L 3.1A- Explain the function of the parts of speech. L 3.4a, 4.4a – Use context clues to define unknown vocabulary words. L 3.5. 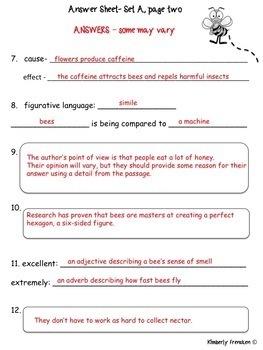 4.5 – Identify figurative language and explain the relationship. events, characters, ideas, or subjects. and solutions, and cause and effect. how it differs from your own. The task card portion of this resource is now available as Boom Cards. Click here to give them a try! 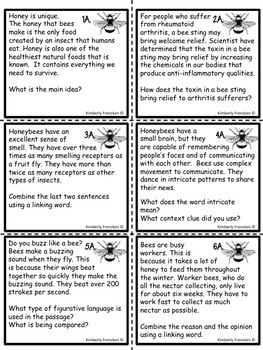 Bees Non-Fiction Boom Cards. 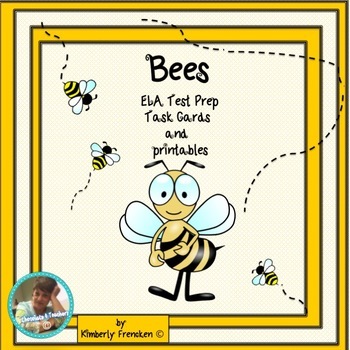 Check out my ELA Test Prep book!. Two complete reading lessons about cougars!!. Two complete reading lesson about shooting stars!!. These non-fiction sun passages are a great way to prepare your students for the solar eclipse!.